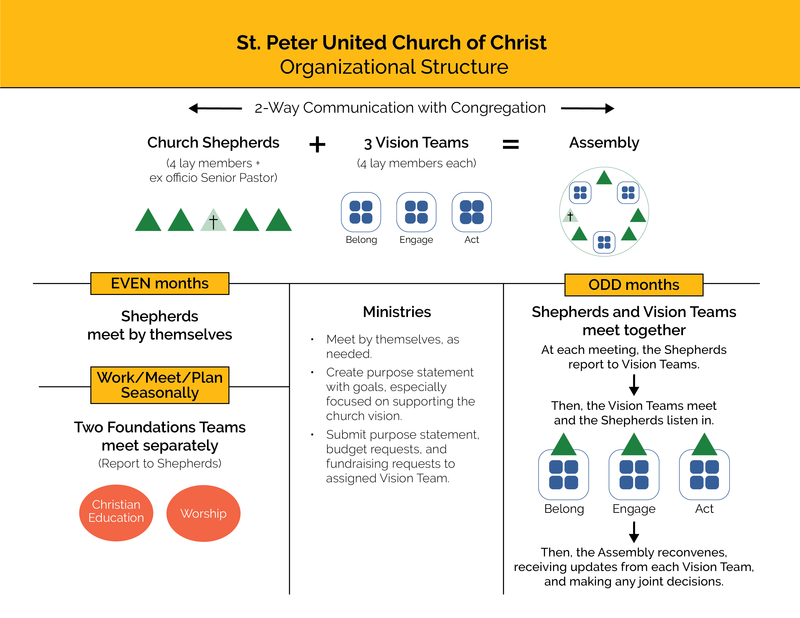 In 2019, St. Peter transitioned to a new organizational structure, as shown in the visual below. For more specific information, see the revised Bylaws. Meeting minutes are now available by request. Please contact the Church Office to be added to the email list.